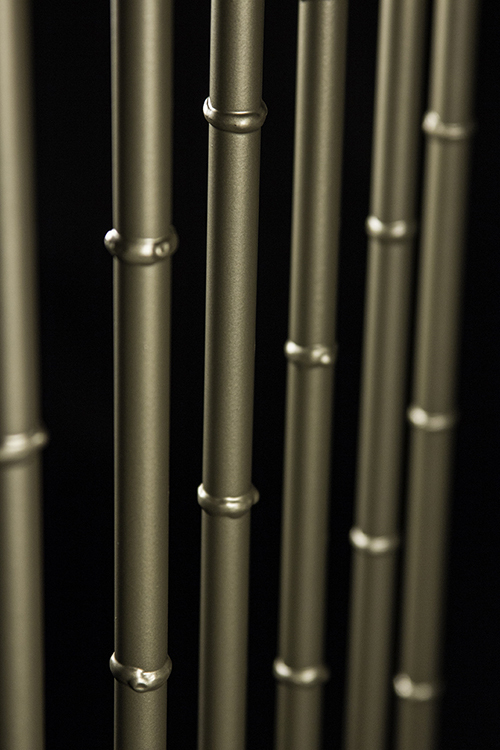 Our newest baluster, “Bamboo”, features 5/8″ round tubular bar stock available in our new limited edition powder coated finish Dorado Gold. Inspired by contemporary hardware and furniture featuring similar bars, this classy yet affordable bamboo baluster is a great introduction for contemporary homes. 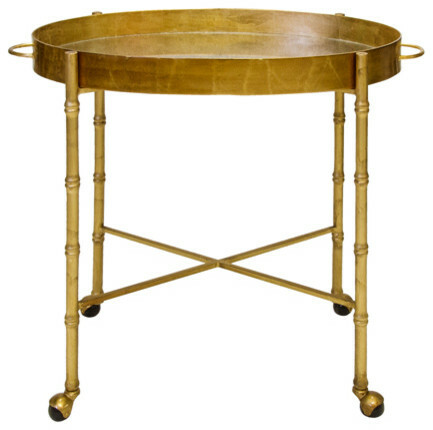 Home furnishings featuring “Bamboo”, such as bar carts and side tables, have been very popular in the home decor market for the last few years. Whether your style is polished brass or more subtle antique gold, the satin sheen on our new Dorado Gold finish perfectly highlights the refined details of this baluster. This contemporary living room is an excellent example of how Gold and Brass accents are used to bring together a very stylish & sophisticated space. Notice the pairing of handcrafted and organic items, creating bold contrasts within the room. 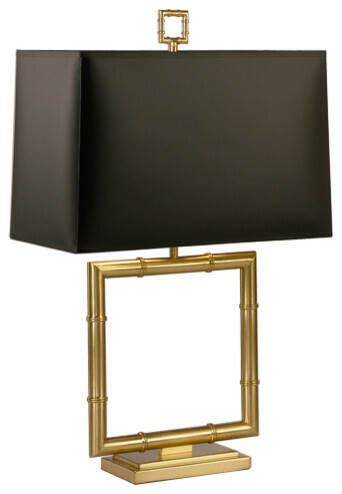 Combining several popular style trends; Geometric Styling and Organic “Bamboo” framework, this lamp shines light on the new contemporary style that combines elements to of old and new to create an updated look. Traditional meets contemporary in this exceptionally styled condo. 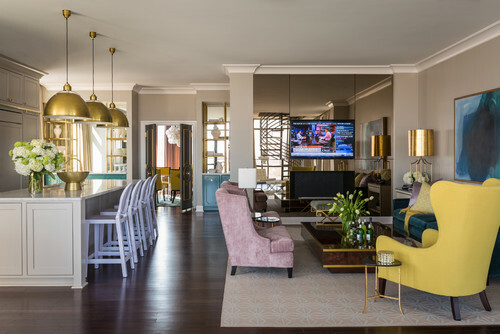 By taking advantage of Gold and Brass throughout the entire space alongside bright colors, this condo has established a look both elegant and inviting.